Established in Lancashire, Northwest England for 30 years. 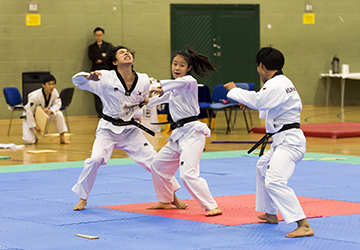 Il Gi Taekwondo is a full member organisation affiliated to the UK Taekwondo Development Council - a member of the British Taekwondo Council which is recognised by the Sports Council as the only Governing Body for Taekwondo in the United Kingdom. We invite all members and beginners of Taekwondo to browse the latest news and information of the North West's most established and experienced Taekwondo Association. Il Gi Taekwondo in association with the UKTDC, hosted the BTC Kukkiwon Technical Championships at Stanley Park Sports Centre, Blackpool on 8th December 2013. 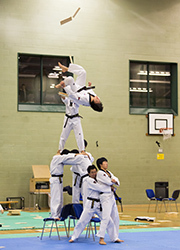 The competition was attended by 20 of the best performers from the world famous Kukkiwon Demonstration Team, who travelled all the way from South Korea to perform an "absolutely enthralling and spellbinding" demonstration. The Il GI Taekwondo Association is dedicated to guiding the development and implementation of a coaching system recognised as a world leader for Taekwondo coaches at every level in the U.K. 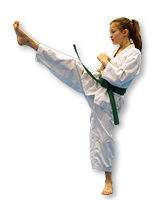 Please note that there will be no post-grading Poomsae seminar following the December Kup grading. 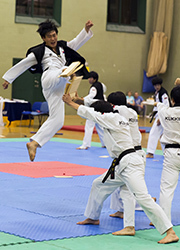 Il Gi Taekwondo had a very successful day at the 2014 Supreme Taekwondo Sparring and Poomsae Championships at Upton Community Centre, Widness on Sunday 11th May. The Team brought home 15 Gold Medals and Connor Bailey won his fight with the fastest Taekwondo Knockout ever, 1.5 seconds after the match began.